GITAM Admission Test or GAT is a computer-based test conducted by GITAM University for admission to various Undergraduate Courses in Technology & Pharmacy. GITAM GAT will be conducted in 50 cities across India. Its campuses are situated at Visakhapatnam, Hyderabad, and Bengaluru. Application forms to apply for GAT Online Examinations will be available from 12 November 2019. Moreover, candidates can apply until 09 April 2019. Candidates are advised to read the information brochure carefully before applying for GITAM Admission Test. Gandhi Institute of Technology and Management is popularly known as GITAM. Also, candidates can see the details about How to fill the GITAM GAT 2019 Application Form in the article below. 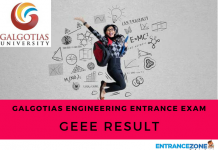 Candidates will have to follow three steps in order to fill the GITAM GAT Application Form 2019. Details About the College/ School Last Attended. Candidates should be careful while filling in these details. Furthermore, any discrepancy might result in the rejection of the candidate. Candidates will then have to upload their passport sized photograph. The photograph should meet the following specification. It should not be older than three months. Also, the format should be JPG. Then, the size of the photograph should be in between 4kb and 50kb. Also, the dimension of the photograph should be 4cm x 4cm. If the photograph is not of the required specifications, it will not be uploaded. After a successful upload, the candidate can go to the next step. Payment of Registration Fees can be done by Demand Draft of Online Mode (Debit Card/ Net Banking). Furthermore, candidates paying the fees through Demand Draft will have to take a printout of the GITAM 2019 Application Form and send it along with the demand draft to the given address. How to fill the GITAM University Application Form 2019 Online? 1. Read all the instruction prior to filling the form. 2. Fill the form in neat and clean writing. 3. Stay up to date with the college updates. 4. Contact the person-in-charge in case of any confusion. Applicant should have passed class 12th or any equivalent exam to be eligible for GITAM GAT 2019. They must secure at least 60% aggregate marks in Chemistry, Physics and Mathematics. Candidates wishing to get admissions into B.Tech Biotechnology are needed to pass class XII or equivalent with a minimum 60% aggregate marks in Physics, Chemistry, Mathematics and Biology. 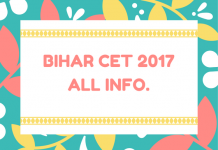 Candidates who are in the 12th standard will also be eligible for appearing in the entrance exam. 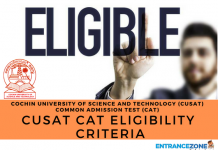 First Rank Holders of the central and all state board exams in 2019 will be eligible for direct admissions without having a need to clear the GITAM GAT 2019.
gitam entrance exam 2018 application form, gitam university entrance exam 2019, gitam application form 2018 last date, gitam university entrance exam 2018, gitam gat full form. What is the final exam date?